What are FAVORITES files in W-HP and W-7? I want to save my Windows Internet FAVORITES online (in case of computer failure), but I do not know how to find the necessary files on my computers. One has Windows HP, another - Windows 7. Please tell me what are the Favorites files in these my computers, and, and this is very important, How to find these files? Re: What are FAVORITES files in W-HP and W-7? 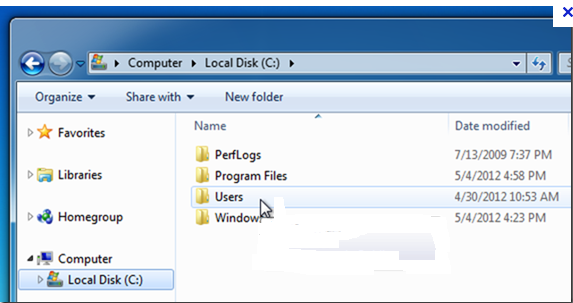 The favorite’s folder in Win7 and Win XP is located in the Users folder in the C: drive. Please type the command %USERPROFILE%\Favorites in Run. You will be able to see the favorite folder.